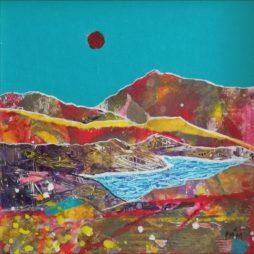 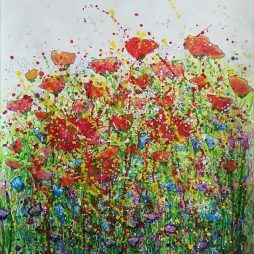 My work is expressive, semi abstract, textured, colourful and full of ‘joie de vivre’. 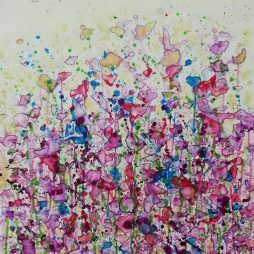 Random mark making is central to my work. 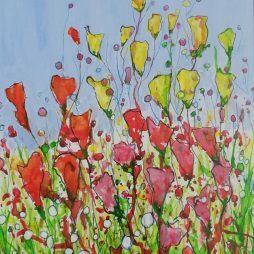 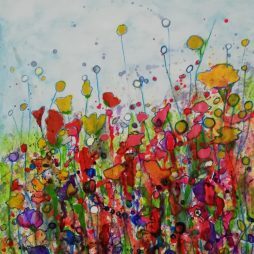 I use inks, watercolours, acrylic paint,crayons and pencils and often use metallic inks and paints to create points of interest. 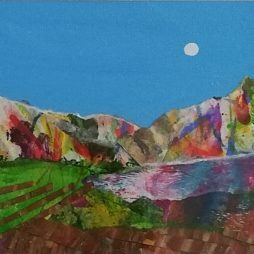 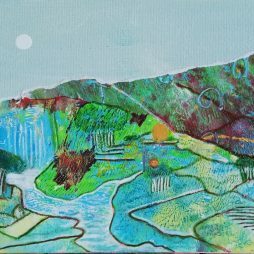 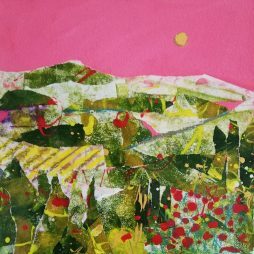 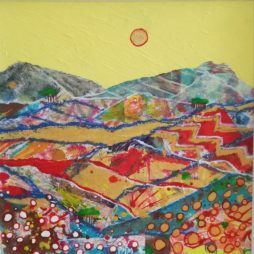 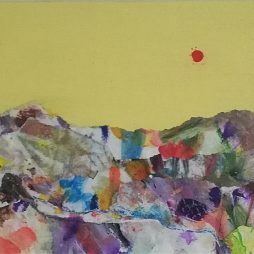 My collage landscapes reflect my fascination with the marks and patterns made by manand machinery on the countryside and the contours and colours of nature, whilst my flower paintings aim to capture the vibrancy and joyfulness of flower gardens. 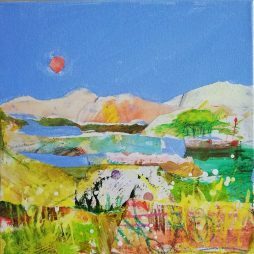 I studied painting and drawing over a long number of years at part time classes and summer schools at Glasgow School of Art, Strathclyde University and The House for An Art Lover, Glasgow. 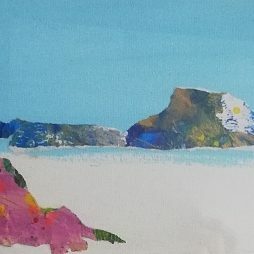 After a career in tourism, venue management and marketing, I embraced an opportunity to retire early so that I could fulfil my lifelong ambition of working as an artist.